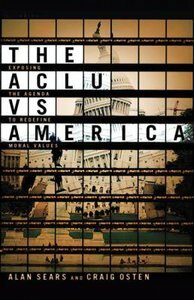 About "The Aclu Vs America"
Alan Sears is a Professor of Sociology at Ryerson University in Toronto. He is the author of "Retooling the Mind Factory: Education in a Lean State" (Garamond Press/UTP, 2003) and various articles on teaching and learning in higher education. Craig is the national director of Team Communications for the Alliance Defense Fund.